Looking for Harvest activities to share with young children? 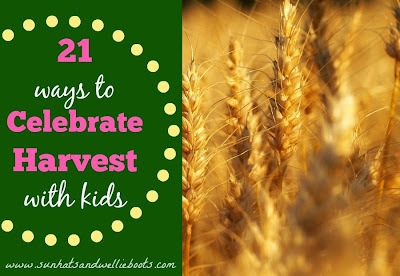 Here are 21 ideas which celebrate this special season; including play activities, recipes, & outdoor adventures. 1. 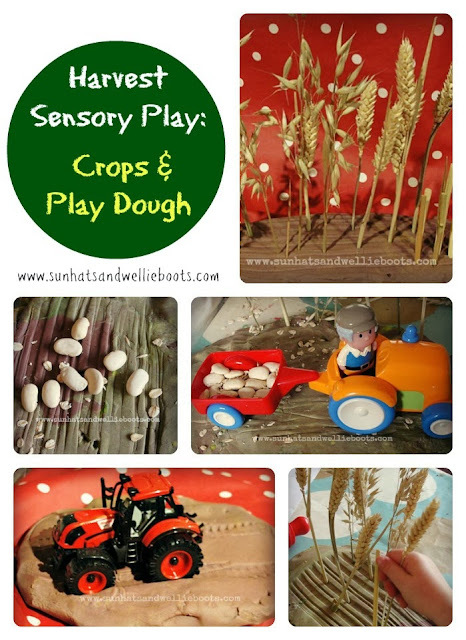 Explore the process of planting crops & harvesting them with this Sensory Small Word Play. 2. 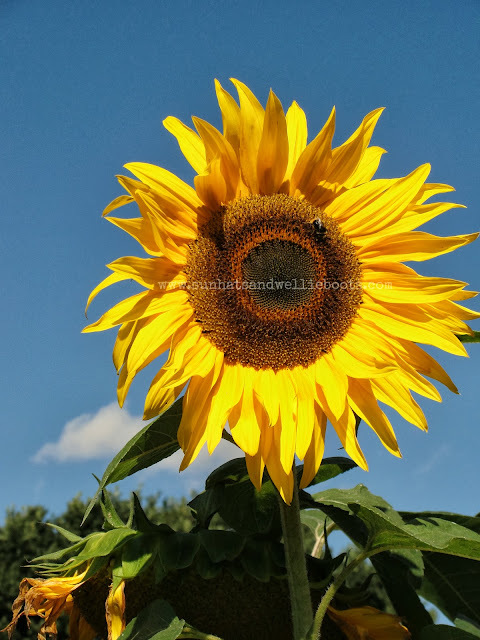 Explore sunflowers this Autumn! Even after the beautiful blooms have faded these amazing plants still have so much more to offer. 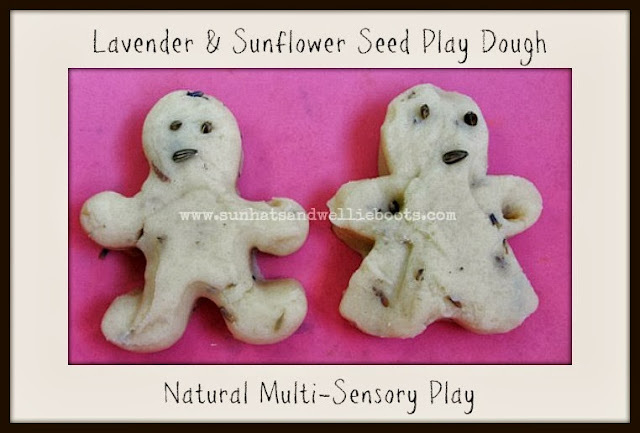 Here are 5 Ways to Play with Sunflowers including how to turn them into a drum kit, create your own fabric dye, & how to preserve the seeds for next year. 5. 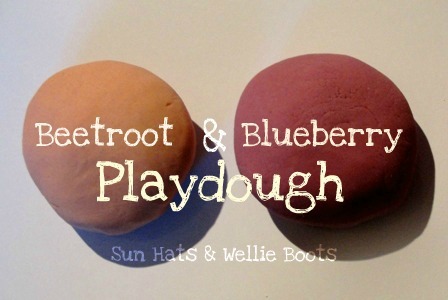 Explore natural food dyes with Beetroot & Blueberry Play Dough Recipes. 6. 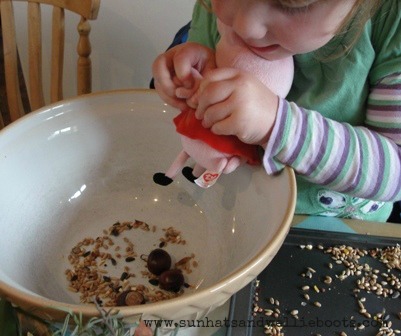 Harvest Seeds from your Garden. 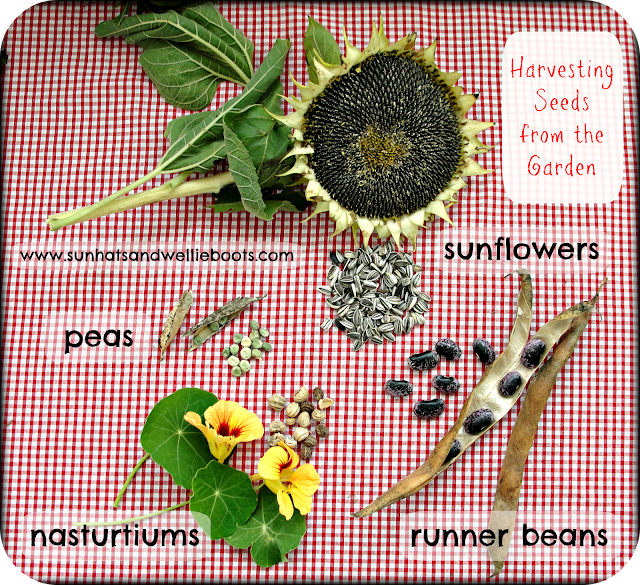 Collect some seeds from plants that have finished growing this year & store them for next year. A great way to save money, & they make a neat gift to share with friends & family too. 8. Collect hidden treasures! 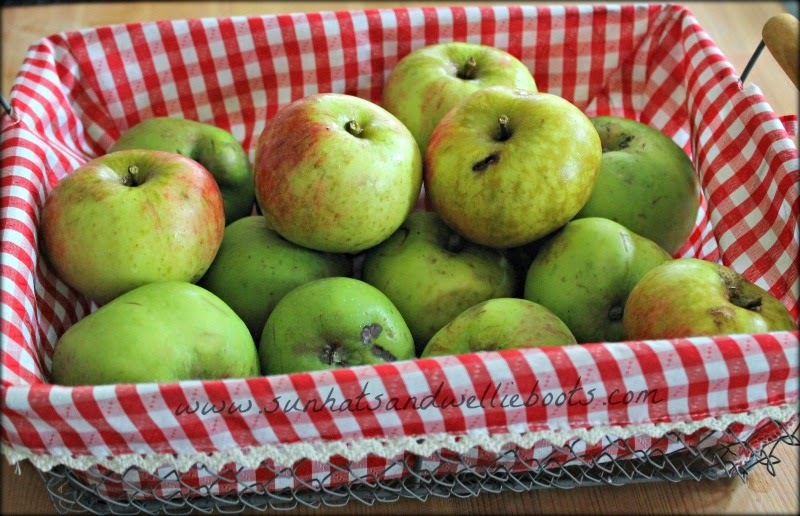 In my view these windfall apples are treasures, they may not look perfect, but most are edible & with a little bit of TLC they taste just as good as those apples still hanging on the tree. Why not keep an eye out for a tree locally & ask the owner if you could collect any discarded fruit. Of course they taste even nicer if they're shared out with friends. 9. Open your own Bird Café! At Harvest time it's good to think about the food we grow & consume, but how about thinking about the birds in our local area. 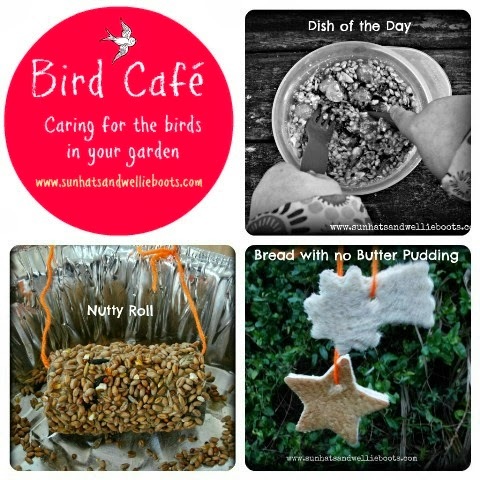 This Bird Café offers some simple recipes which will keep the birds happy through until Spring. 10. 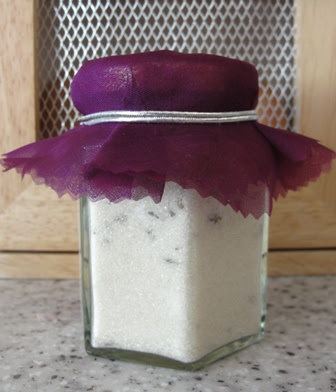 Create your own culinary sensation with homemade Lavender Sugar made with seeds harvested from your garden. 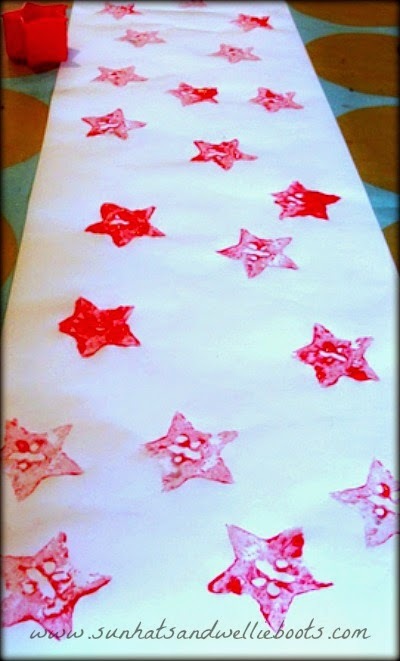 These are super simple to create & make sweet Christmas gifts. 11. 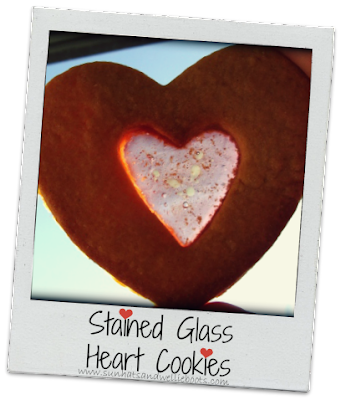 Share a little love with these Stained Glass Heart Cookies. 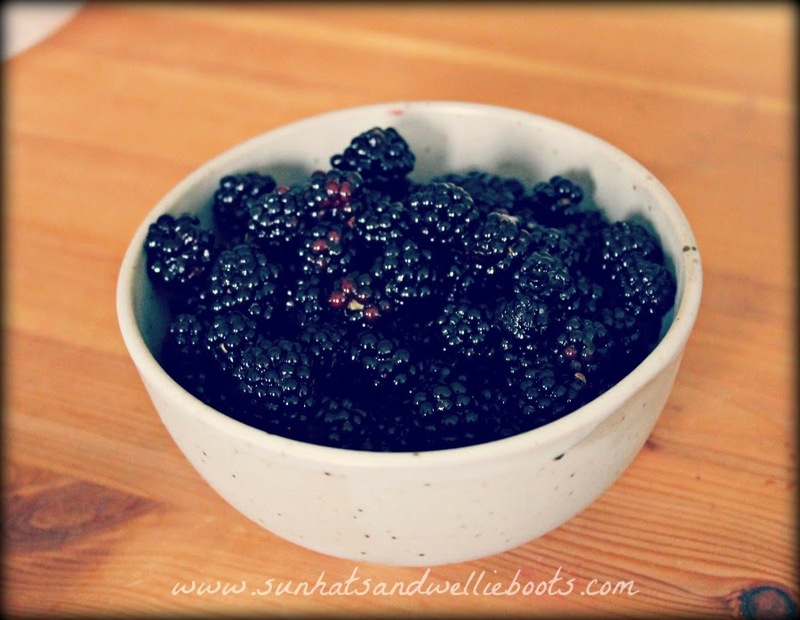 Harvest is the perfect time to look at what we have & to consider how we might share that with others, & a great place to start is always your kitchen cupboard! These cookies are made with simple ingredients & make a lovely surprise gift to leave on a neighbours doorstep. 12. Let's go Fairtrade! 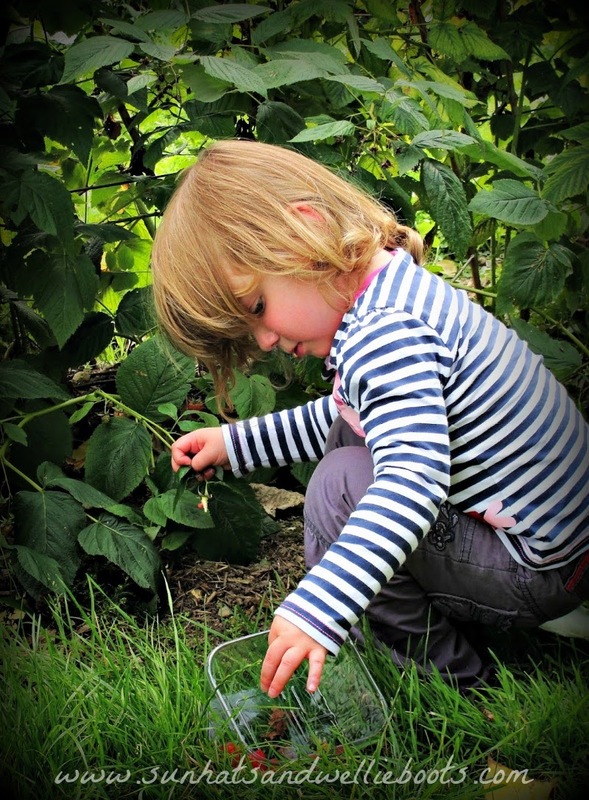 With so much of our food imported from other countries it's useful to encourage children to think about where different foods are produced, & to consider those who grew them. 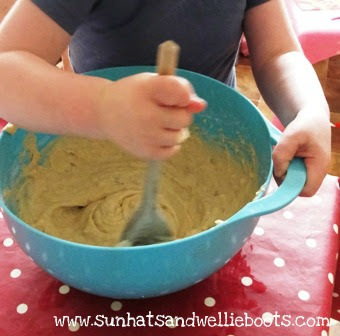 This Fairtrade Banana Muffin recipe is a simple way to introduce Fairtade to young children, the recipe is easy enough for young children to create & the muffins make a delicious treat for packed lunches. 13. Make your own Harvest Pizza with seasonal toppings! Here's a wee challenge for you; see if you can collect all the ingredients for a homemade pizza by buying only seasonal & local produce. What toppings will you come up with? Will it be possible to use only locally sourced ingredients? 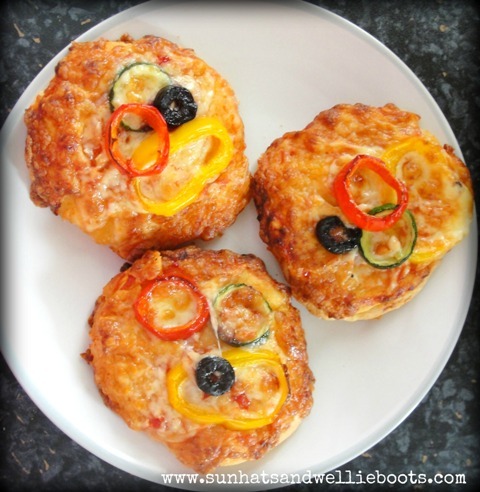 Here's one of our favourite Recipes for Mini Pizzas, hope it helps. 14. Go on a family fruit picking adventure. We're fortunate to have enough space in our garden to grow a few fruit & veggies, but we still enjoy visiting 'Pick your Own' farms as a family & collecting the different varieties of fruits available. We tend to freeze what we collect & store for Winter months when their gorgeous flavours brighten those cold days. 15. 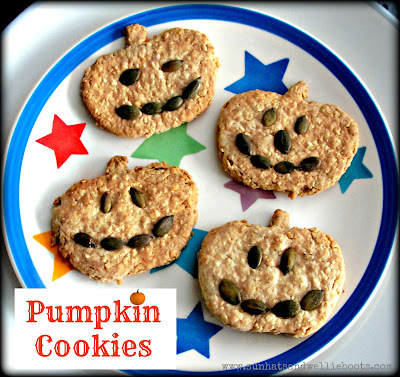 Pumpkins appear here in the UK at just the right time for Harvest, so these homemade Pumpkin Oat Cookies are a delicious seasonal treat, & are packed with goodness too. 16. 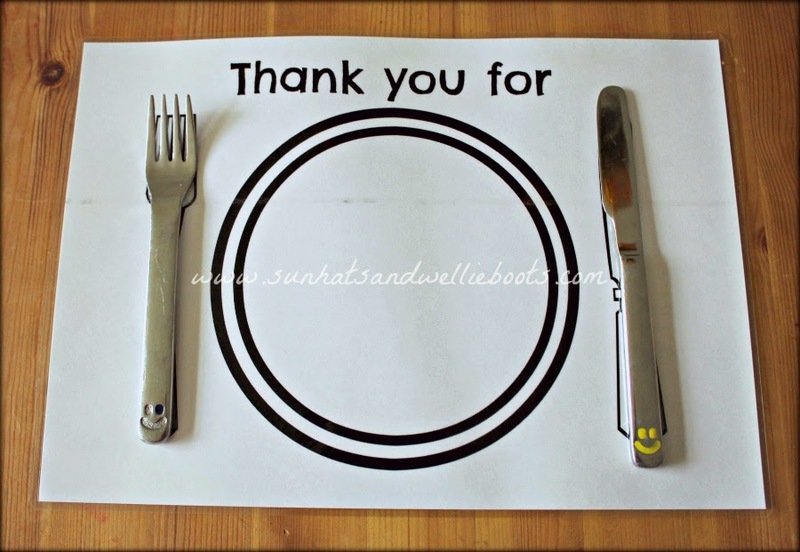 Make your own placemat to give thanks for your food. 17. Go on a Tractor Hunt! Here's a neat game to pass the time on those long car journeys & one which all the family can join in with. 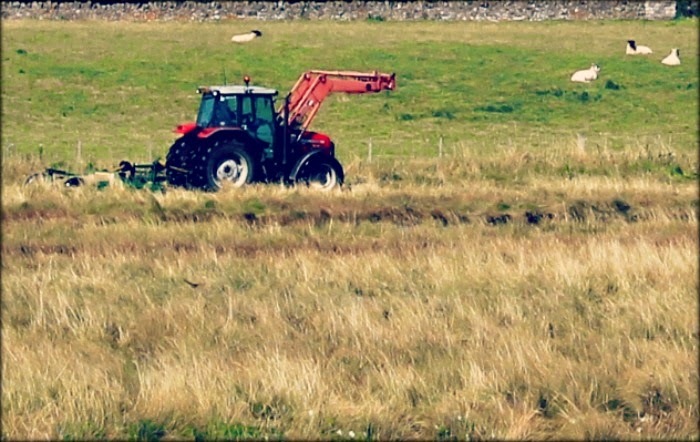 Who will be the first person to spot a plough, a tractor, harvester, hay bale or supermarket lorry? You could allocate points for each one spotted. with apple or potato prints. Simply slice the fruit/vegetable in half, cut a shape with a cookie cutter if desired & dip it into a dish of paint. 19. Make a Harvest Hamper for your local Foodbank. We've made several of these now & my girl loves collecting all the tins & packets & arranging them in the box. To find your nearest Foodbank in the UK visit The Trussell Trust, or contact your local council for information on how you could help a local charity with a food donation. 20. Pick your own pumpkin! 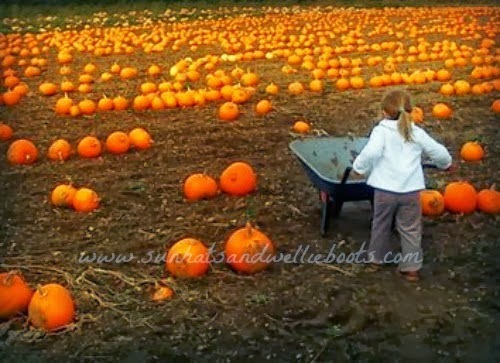 If you have the opportunity to do this I would thoroughly recommend it, the sheer joy on my girl's face as she wheeled her barrow through a field of pumpkins was just priceless! 21. 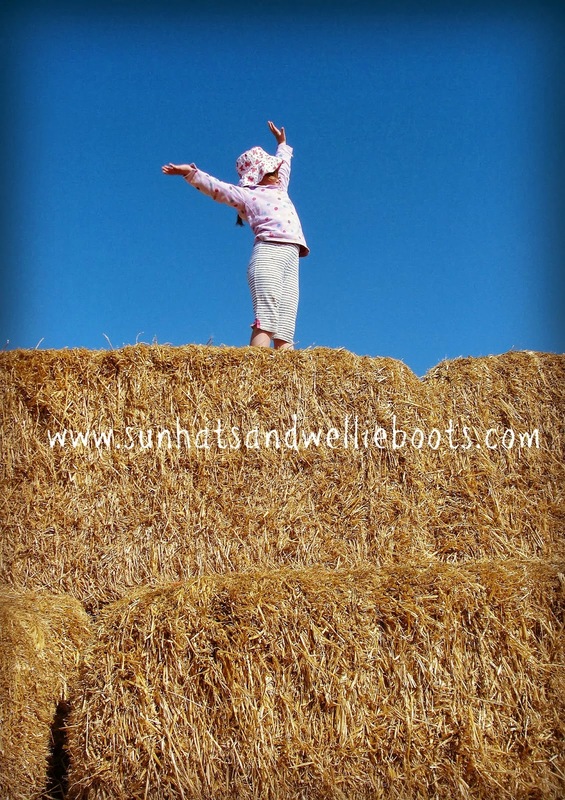 Climb & explore a haystack (with the farmers permission of course). However you celebrate Harvest I hope it's filled with happiness, fun, & thanksgiving. 3D Autumn Art, or our No Sew Autumn Garland.